It's safe to say my little guy is baseball obsessed. 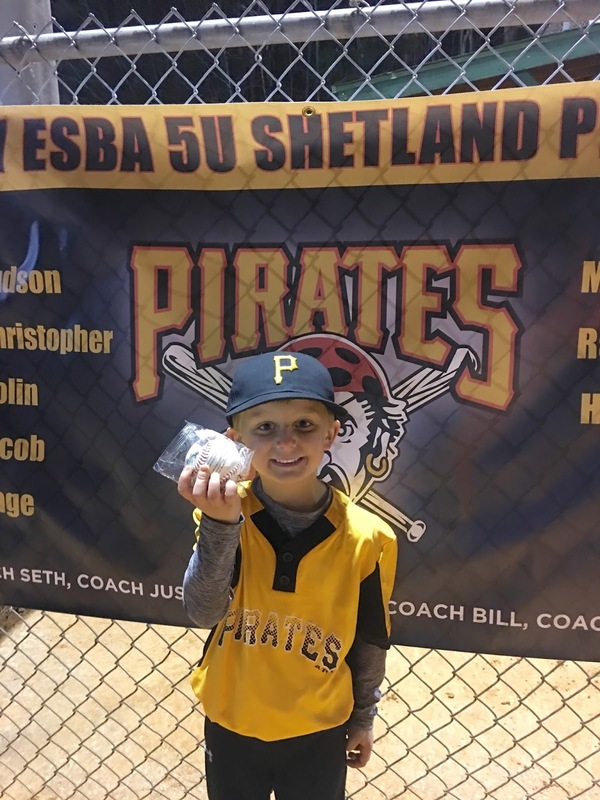 He is into his second season of playing and his first game of the spring season was last weekend. He played great and I was totally that proud mom yelling from the bleachers! He had awesome hits, great fielding (for a 5 year old), and got the first game ball. He asks everyday if he has baseball and if he doesn't have a game or a practice he wants me out in the driveway practicing with him. Because I see how much he loves it, I've pretty much become baseball obsessed myself, too. 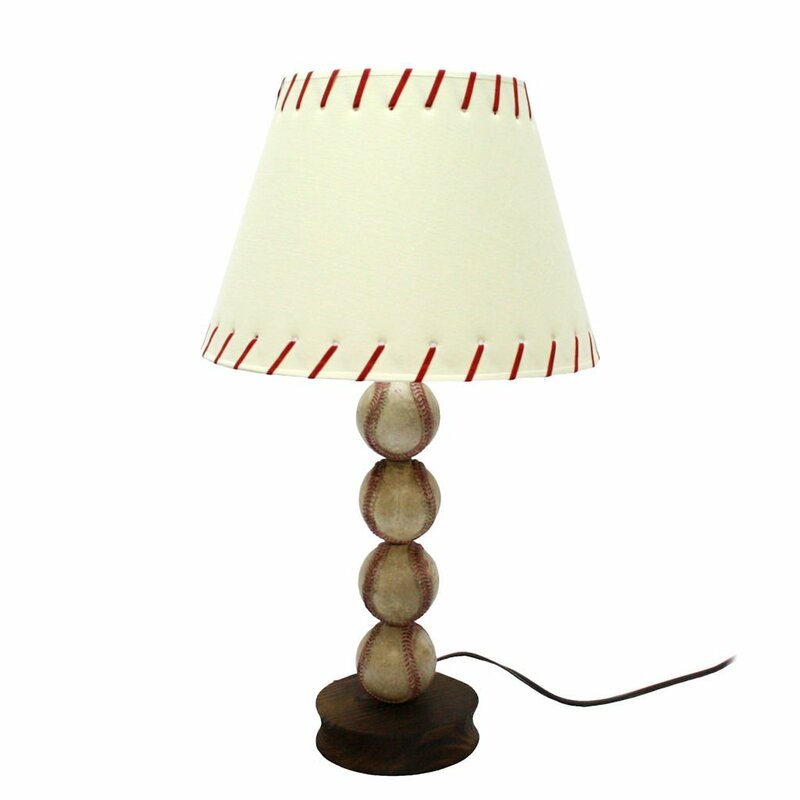 A few months ago he mentioned that he wished he could have baseball stuff in his room so I made him a deal and told him we'd switch out the nautical decor for baseball stuff. He was over the moon. Then life happened and while the idea keeps hanging around in my head, I haven't actually done anything to keep good on my promise. He's lived in a nautical room since hew as a baby. 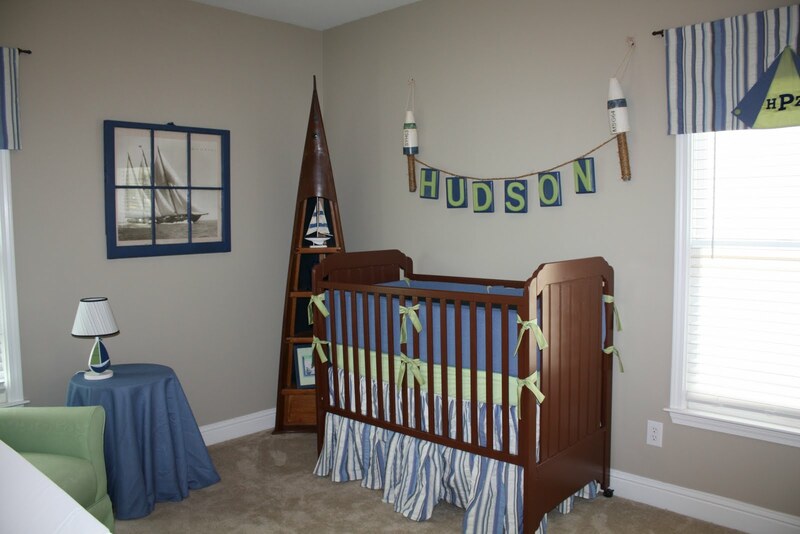 I did a nautical nursery for him and then when we moved to our new house I changed things up a bit, but still kept the nautical theme since I already had tons of stuff. The good news is, since his quilt, curtains, walls, etc. are all blue and red I can easily switch out the "boat stuff" as he calls it for the "cool baseball stuff" he wants. Last week when I was browsing Goodwill for a project I'm working on (more on that next week), I came across this cute baseball print! 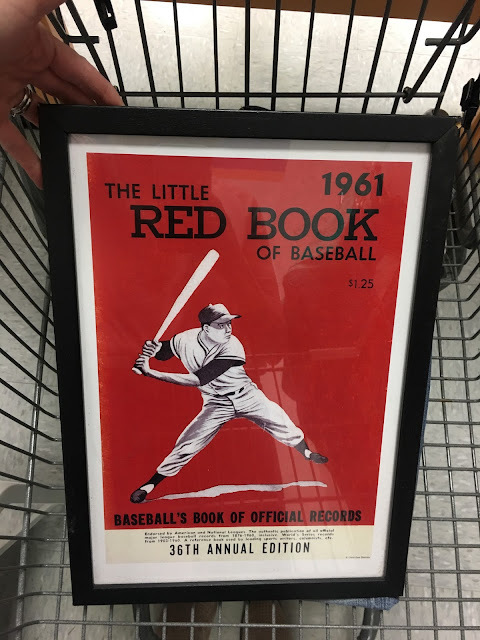 It just needs a new frame, but it was less than $4 so I was so excited to find it. Y'all know I love a good deal! I'm also heading to one of my favorite kid consignment sales tomorrow so I'm hoping to find a few things there. 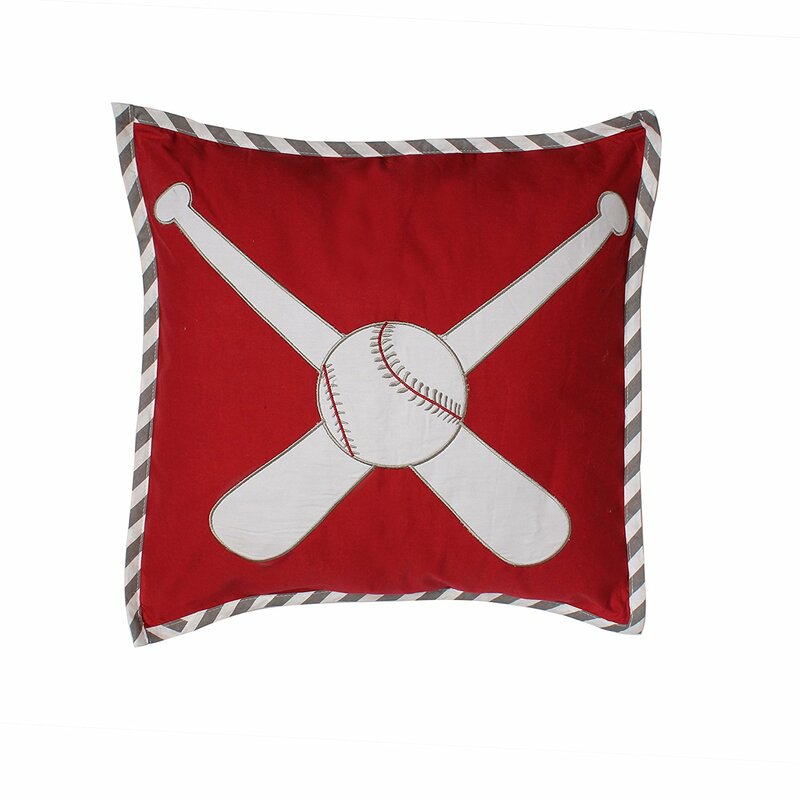 Last night I spent some time searching the internet and I found that Pottery Barn Kids has some adorable baseball stuff right now. 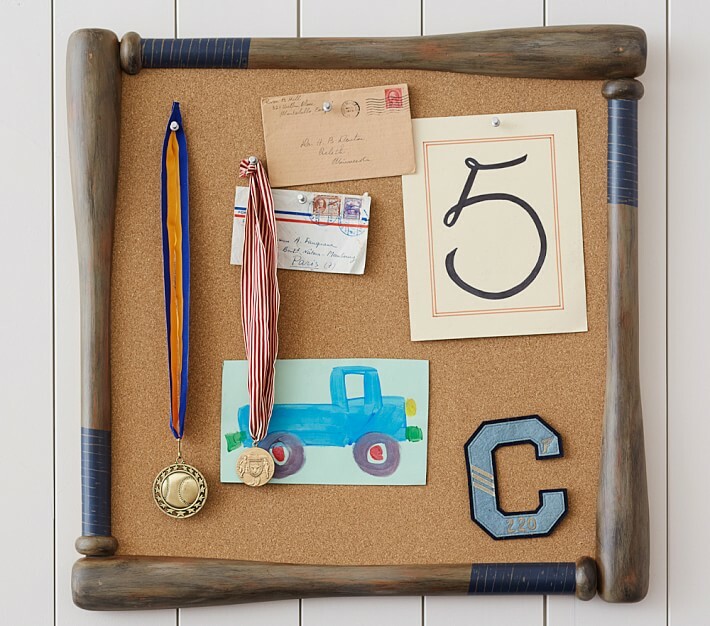 I'm loving this baseball pin-board and trying to find a way to justify buying it for his room. It's a little pricey, but OH SO CUTE! 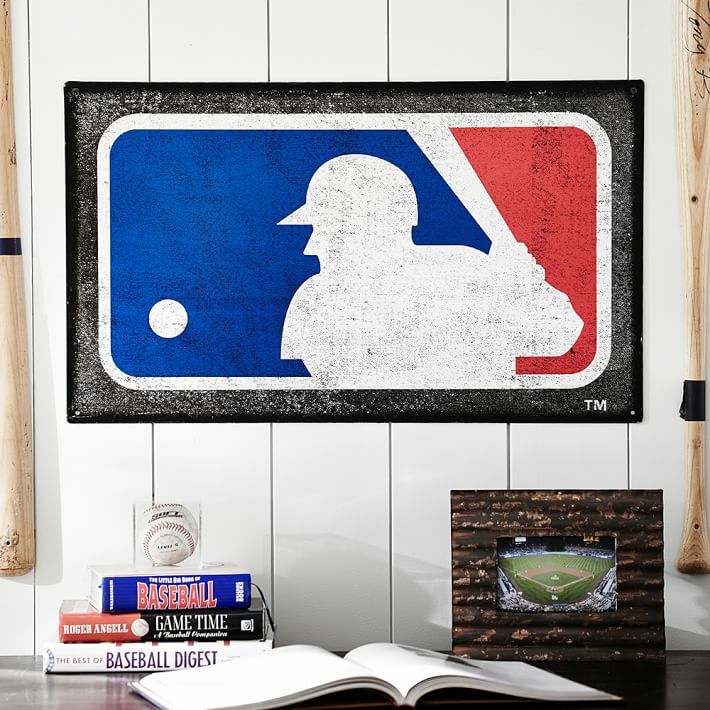 This metal MLB sign is just calling for me. I LOVE mixing antique looking things into our home and I this metal sign has me swooning. Thinking this would look super cute hanging over his bed or as part of a gallery wall! I've already decided I'm ordering these little baseball knobs. They come two to a set and they are on major sale right now so I'm going to switch them out for the knobs on his current dresser. 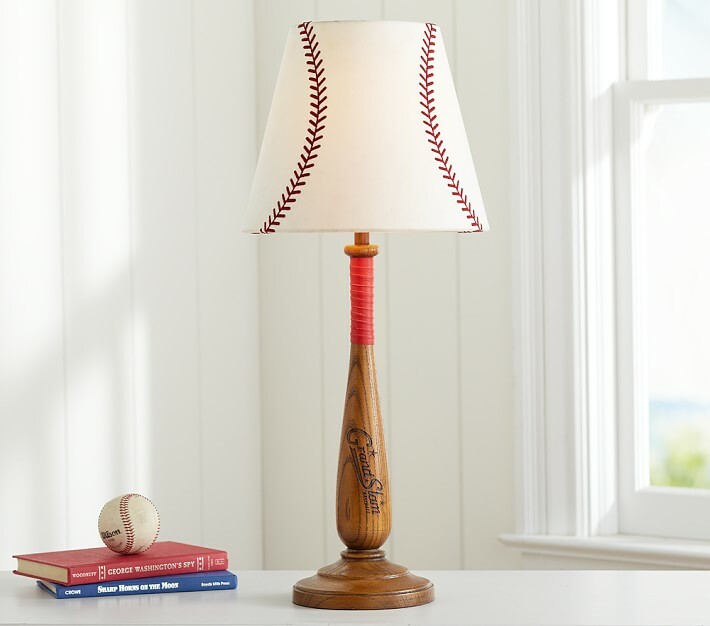 He had a cute little sailboat lamp in his room that needs to be replaced and I loved this wooden lamp shaped like a bat and the cute baseball shade. He saw this one as I was searching for stuff last night though and loved the stacked baseball lamp, so we may end up with this one instead, which is still super cute. 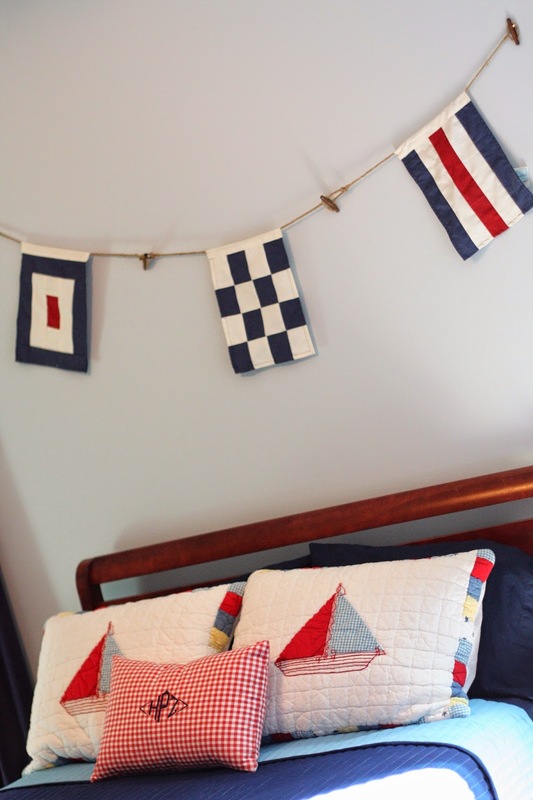 I've been using just a plain navy quilt that I bought at Target a few years ago with the sailboat pillow shams. I'm going to switch those out for the navy shams that came with his quilt and just plan to get some cute throw pillows like this one to add to his bed. I also scrolled through Pinterest and found tons of cute ideas. Boo-Boo actually loved looking with me and would comment on just about everything he saw. He got really excited when I kept pinning stuff because he asked if that meant it was the list of what we were getting. Then when he saw me pinning baseball mom stuff he started making gagging noises and told me he did not want those things in his room. 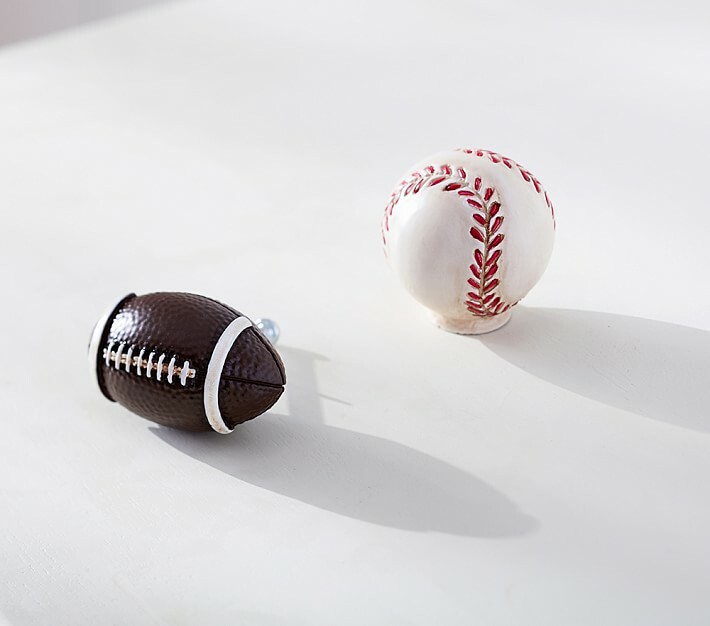 You can see all my fun baseball pins HERE. 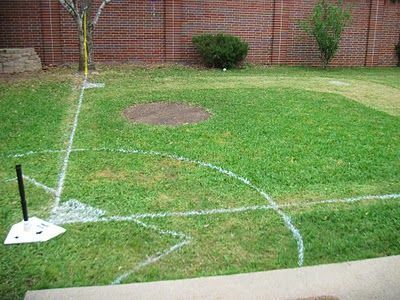 His very favorites were this baseball wall and the baseball diamond painted in the yard. I might just have to do that this summer. 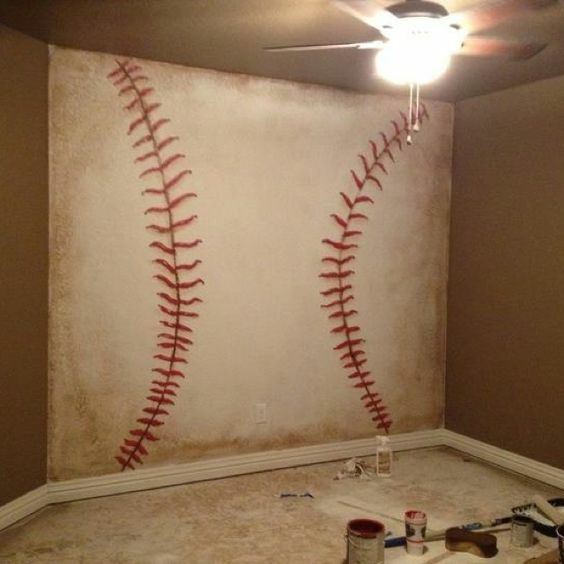 I'll continue to share what I find and will certainly post about the final outcome of his baseball room in a few weeks!